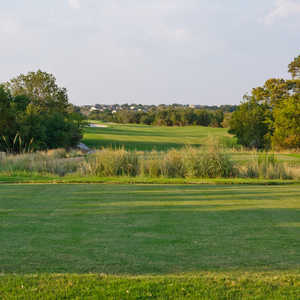 GEORGETOWN, TX - On any given day you will find Director of Golf Susie Davis running around the Legacy Hills Golf Club's 120 acres like a squirrel hounding nuts. One of the busiest golf courses in the Hill Country hosts 60,000 rounds a year and her schedule might get even more hectic when Del Webb's Sun City Georgetown opens a second 18 holes on June 10. The long anticipated opening to White Wing Golf Club will be a welcome sight for members, but might put even more duties on to Ms. Davis' shoulders. Ask her about her golf game and most likely you will hear: "What golf game? I don't have much time to play golf." Instead, she is a busy administrator, trying to keep things flowing and helping set up the many member tournaments and activities of one of the most popular senior communities in the USA. Legacy Hills, designed by PGA Hall of Famer Billy Casper and golf course architect Greg Nash, is a fun golf course measuring 7,088 yards from the back tees at par 72. You can bet since it is a retirement community it is a very friendly facility for women. It has four to seven sets of tees with the women's rating at 74.3 and 125 slope at 5,938 yards. Cedars, live oaks, native pecans and red oaks line the fairways and if you venture into the rough you will find lots of tall grasses and rocks. In the spring there are bluebonnets, blooming prickly pear cactus and wild flowers. And don't hit it too far left or right because there's an abundance of out of bounds white stakes. There's also a myriad of elevation changes. All this and the general public is welcome to come on out - just be sure and plan ahead with a phone call and tee time. "This golf course has a lot of character," said member and resident Dave Tietjen. "It has its share of traps and water and there is hardly a flat putt. There are many undulations and the greens will challenge any caliber of player. Even people who play three or four times a week will be challenged." "I like our courses because any one can play them," said Ms. Davis. "Both golf courses have a lot of characteristics that blend together hole-to-hole making this a true Hill Country experience." White Wing Golf Club measures 6,716 from the tips, but is tighter and has an abundance of trees. With 118 acres of turf, three lakes, including one that is 4.5 acres, this course is already a beauty. Berry Creek runs through it and plays an integral part in the signature 18th, a par-5 with two tee possibilities. You can choose the west route, laying up on the first stroke, or gamble with a tee shot over a very wide section of the creek. If you make it you are rewarded with a clear path to the green. Legacy Hills, which opened in 1996, was the first of four planned golf courses. On No. 2, a par-4, 387-yard test, you have the only forced carry on the track, with a tee shot over water to a split fairway. Go left and you must be accurate with lots of trees. Go right and the carpet is more generous. The green is well bunkered. A stacked-rock pond guards the par-3 171-yard fourth on the right side that includes a bunker. The green is kidney-shaped and has three tiers and a ridge. And the prevailing wind might just push your shot into the pond on blustery days. The ninth is the marketing hole says Tietjen. It's only 357 yards uphill, but there's a stream on the left that flows the entire length. Bunkers protect the right side of the fairway, but if you strike it down the middle you will have a short approach to birdieland and a great view of Legacy Hill's waterfall. The longest par-3 is at 16. It's 216 yards from the back and a huge lake and bunkers borders the right side of a two-tiered green. It's a difficult par. Finish your round with a 520-yard par-5 that many rank as one of the best closing holes in Central Texas. Lots of bunkers can gobble up errant tee shots, but it is reachable in two for the long knockers. The green is long and narrow so it's easy to come up short leaving you a lengthy putt for birdie. Lots of three putts can be had here. With such heavy traffic on this course, Legacy Hills wants everyone to finish in four hours and five minutes. So on the first tee the marshal will post a card in your cart window displaying the specifics. Say you tee off at 12:26. The card will tell you that you should make the turn at 2:28 and finish at 4:31 - a neat reminder to be conscious of your pace. Legacy Hills is opened seven days and week and White Wing will run a six-day a week schedule. Both courses include large practice areas, putting green, restaurant, clubhouse, lounge and pool. Green Fees: Monday through Thursday for $55. Fridays, Saturdays, Sundays and Holidays will cost $65. Public Twilight Mondays - Thursdays will cost $30. Public Twilight Fridays, Saturdays, Sundays and Holidays will cost $35. Public Replay Rate will cost $30. Cart fees are included in green fees. Golf Course Features: Tee & Green Type: 328 Hybrid Bermuda (Summer), Perennial Rye (Winter) Fairway Type: 419 Bermuda (Summer), Perennial Rye (Winter) Landscaping: Approximately 20,000 Live Oak, Red Oak, White Oak and Cedar trees. Rock Work: All rock used at Legacy Hills Golf Club was re-cycled from the site during construction. The dam and lake alone account for more than 200,000 tons of native rock decorations. Design Philosophy: The Legacy Hills Golf Club was designed to fit within the natural surroundings and enhance existing topographical features. Whenever possible, tees and greens were incorporated into the existing Hill Country landscape features such as rolling hills, ravines and stands of decade old Oak trees. Design features and types of vegetation were selected to blend with the surroundings while containing different varieties of grasses and plants to create color and visual excitement. Directions: Located 5 miles west of Interstate 35 on Williams Drive. Take exit 261-A if driving from Austin or exit 262 if driving in from the North. 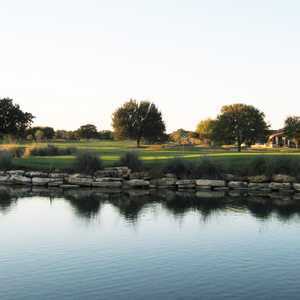 Editor's Note: TravelGolf.com Senior Writer Dave Holland is on a golf tour of Texas. 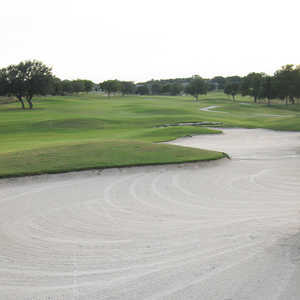 Look for upcoming reviews on some of Texas' elite courses - The Cliffs at Possum Kingdom, Meadowbrook Farms Golf Club, Horseshoe Bay, ColoVista Country Club, Pine Forest Golf Club, Bridlewood Golf Club, Chase Oak's Blackjack Course and others.